Illegal immigrants who continue to break the law have just found out the hard way that breaking the law doesn’t always pay off. At least not in the real world the way it does when the Democrats are in charge of it. 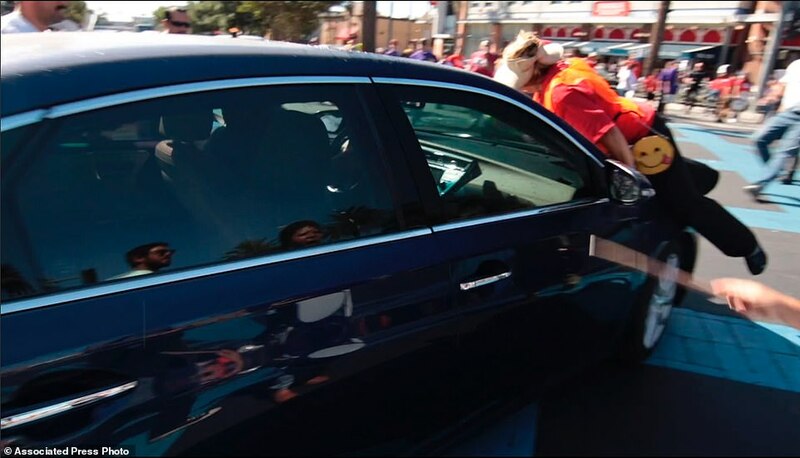 Their rally that was held in Brea, California, was disrupted after brazen protesters hogged up a street that one driver needed access to. Despite immigration being one pillar major of his campaign, the President has been ruffling some serious feathers with his immigration policies. People seem to have assumed that he would simply back off of the controversial issue when it came right down to it. That’s not the President’s way though, and illegal immigrants are up in arms that he might actually deport them. 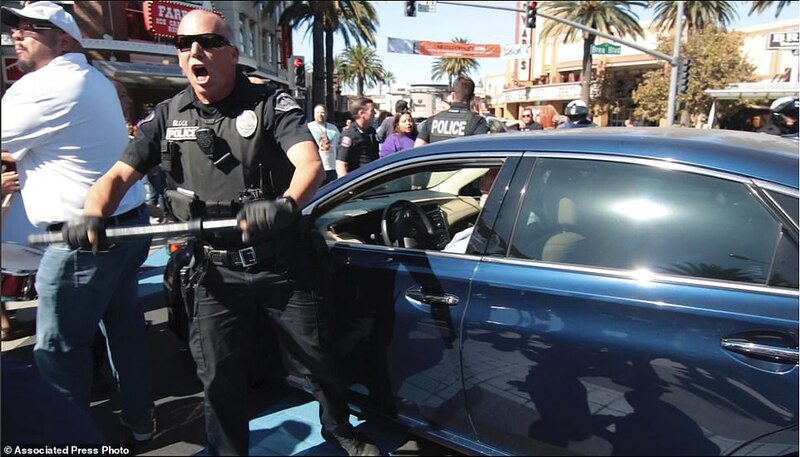 “A man has been arrested after he drove his car through marchers at an immigrant rights rally. Shocking pictures and video footage from Thursday afternoon shows one protester jumping on the hood as the car lurched forward and then stopped. Police quickly surrounded the vehicle and arrested Daniel Wenzek, 56, after the horrifying collision at the demonstration in Brea, California. We don’t know at this time if the roads were marked, but in situations such as these, they’re not typically closed and considering all the other cars at other parts of the intersection, there’s no indication that this vehicle was somewhere that it shouldn’t have been. Despite the fact that the driver was making his way cautiously through the crowd, and honking to make his presence clearly known, he was for some reason called to account for his actions. Even though he was arrested, the officers on the scene were outspoken about the fact that they didn’t feel he was actually attempting to hurt anyone. The video below reveals the manner in which Wanzek was trying to get through the crowd. You can clearly see that if he were trying to do harm to anyone, he would’ve done something else besides driving slowly while hoking his horn. The 6 people who were injured seem to be part of the group that put themselves into harm’s way by running toward the vehicle and jumping on it while it was moving. For the sake of argument, let’s say those who threw themselves at the vehicle did so in order to save their friends further up the road. Even if that were true, there’s no good reason for them to have to try and attack the car and driver after he stopped. You’ll notice that after the police got involved, they had to protect the driver from the protesters, not the other way around. According to reports, Wenzek never said anything at all to the protesters. While the right to protest is something that we should all consider to be sacred, we need to all understand that while you’re exercising that right, it doesn’t negate the need to follow all the other laws in existence. Would the driver of the car have been responsible if these protesters had thrown themselves in front of him on an interstate? It’s understood that we are supposed to yield to pedestrian traffic in city situations, but are they just allowed to block the street and never let us pass? If we allow ourselves to be controlled by anyone who can pay enough protesters to block a roadway with their own body, we will be giving up a lot more than a convenient route to work.